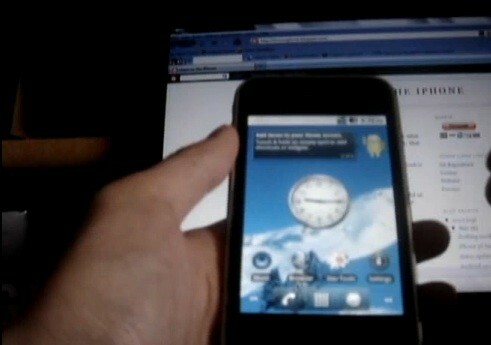 The video tutorial below shows Android 2.2 Froyo running on an iPhone 3G with firmware 3.1.2 and baseband 05.11.07. We have seen Android running on an iPhone before, but this is the first time we seen the latest version of Android, Froyo 2.2. The video demo below provides you with full instructions if you are interested in trying it out on your own iPhone 3G. However, be forewarned that the current hack is reported as running quite poorly including issues with GPU drivers, power management, and WiFi. The phone is also reported as getting hot after 5 to 10 minutes of use. This current hack of Android 2.2 Froyo running on iPhone is definitely only recommended for developers. Next Entry: iPhone 4G Leak, Pre-order Available in Hong Kong?